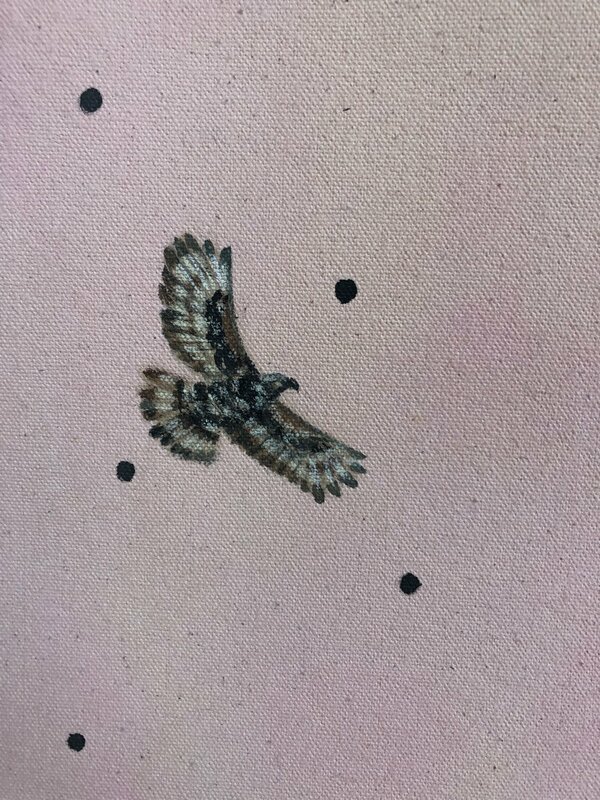 Recently I painted a new animal painting to add to my collection that has been in the works. 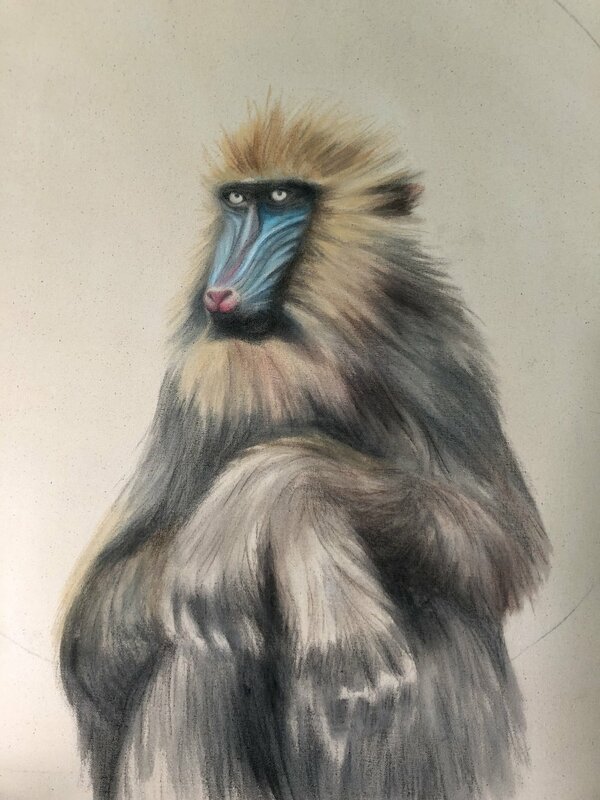 I have always loved the look of Mandrill monkeys so I decided to use one for my next subject. First I sketched out the basic placement lines of where I wanted the monkey and crowned african eagle to go. 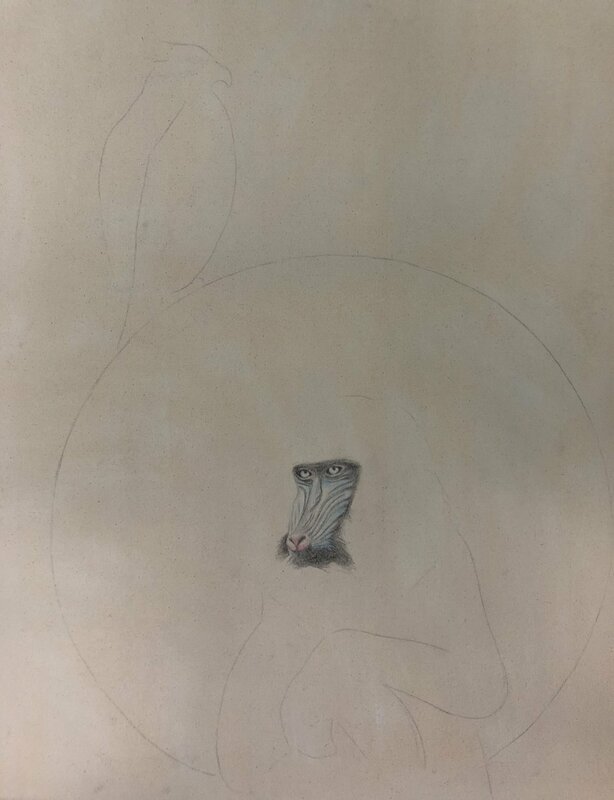 I began the monkey by doing a layer of colored pencils on his face and body. Then I followed the pencil with a layer of paint. I continue the process of layering and building up the layers of pencil and paint until I achieve the results I want. And finally there. The cherry on the top was the details such as the little hairs on his eyes and nose and the reflections on his eyes. The details are always my favorite and the parts that keep me chugging along when I am having a hard time pushing through. Knowing I get to add these little details really put a fire underneath me to get to the finish line. Painting the texture of fur has been SO FUN for me! I always love a polka dot, and recently I am into pale pink combined with black, so this is what I chose for the background. The background was done with a technique called negative painting. An example of how it is done can be found HERE . I also painted some imaginary fruit to add to the monkeys environment. This painting and others can be found at Artisan Coffee Shop at the Whole Foods Market in Akron for the whole month of April (1745 W Market St, Akron, OH 44313).